Every week religious Jews observe the Sabbath and keep its laws and customs.The Sabbath begins at nightfall on Friday and lasts until nightfall on Saturday. The idea of a day of rest comes from the Bible story of the Creation. God rested from creating the universe on the seventh day, so Jews rest from work on the Sabbath. God also commanded the Jews to observe the Sabbath and keep it holy as the fourth of the Ten Commandments. Jews often call the day Shabbat, Hebrew for Sabbath, which means ‘rest’. The Sabbath is a reminder of the Covenant that God made with the Israelites, and so it is an occasion to rejoice in God's kept promises. In order to avoid work and to ensure that the Sabbath is special, all chores like shopping, cleaning, and cooking for the Sabbath must be finished before sunset on Friday. Shabbat candles are lit at sunset on a Friday. The woman of the house usually performs this ritual. It is an integral part of Jewish custom and ceremony. After the candles are lit, Jewish families will drink wine. Sabbath wine is sweet and is usually drunk from a special goblet known as the Kiddush Cup. The drinking of wine on the Sabbath symbolises joy and celebration. It is also traditional to eat challah, a soft bread in the shape of a braid. Under Jewish law, every Jew must eat three meals on the Sabbath. One of the meals must include bread. 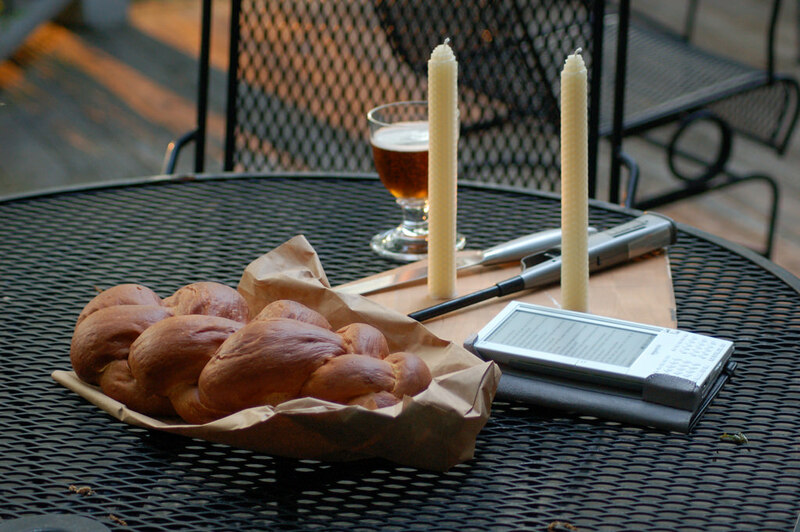 Observant Jews will usually eat challah at the beginning of a Sabbath meal. 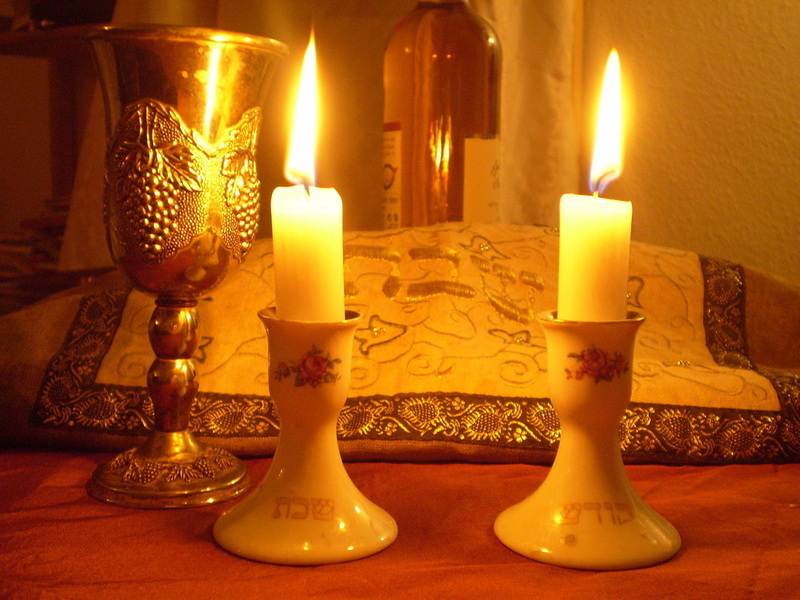 To find out when shabbat begins and ends in Brisbane each Friday, visit the Brisbane Synagogue website. Click on the picture to find a recipe for making Challah bread. Click on the picture to hear the Shabbat song by Jewish Treats. Click on the picture to hear the song "D'Ror Yikra", a traditional Shabbat song sung by the Maccabeats.